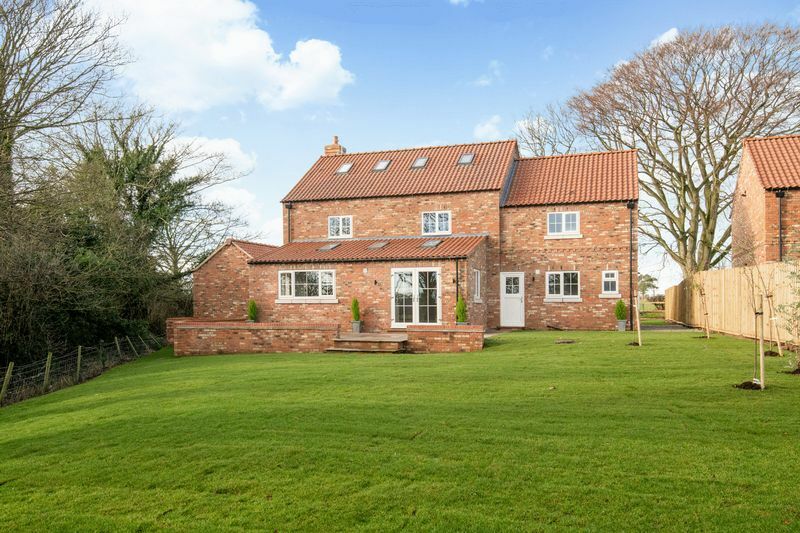 One of two newly erected outstanding family homes available for immediate occupation. Springfields is traditionally constructed of mellow brick with natural stone cills under a pantile roof. Enjoying approx. 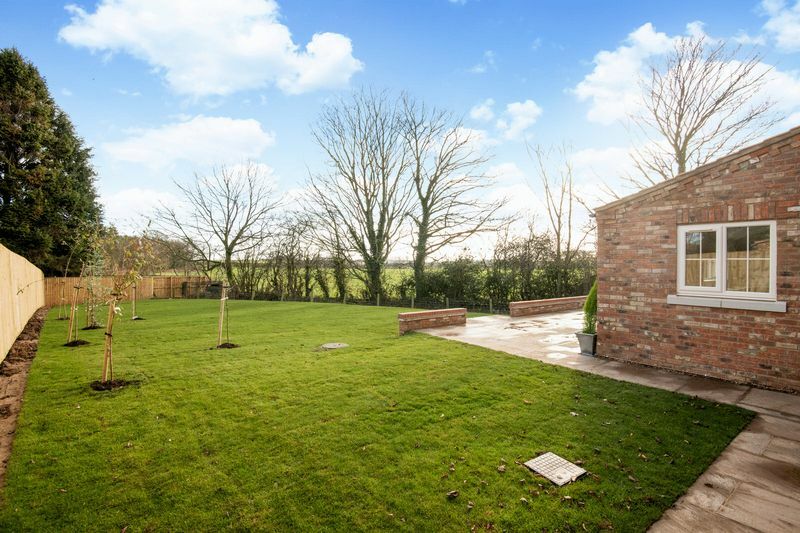 3,000 sq ft of generously proportioned accommodation over three floors, set in delightful gardens and grounds. 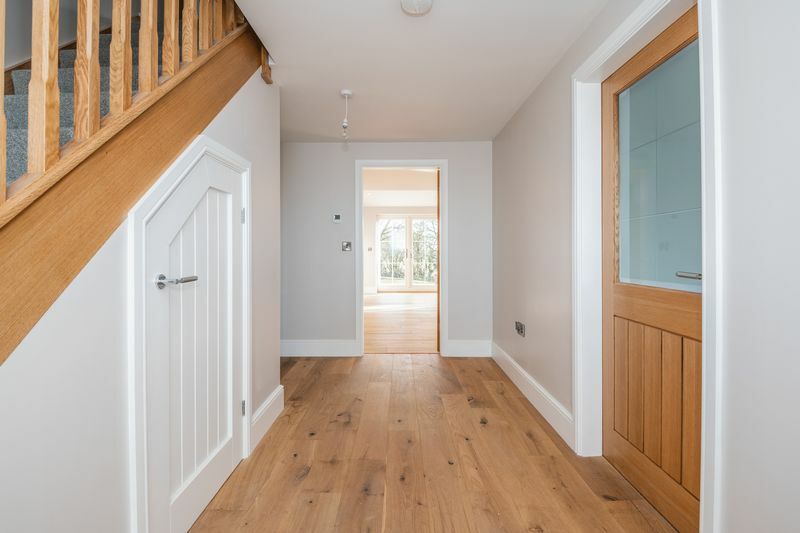 The internal accommodation has been carefully planned to offer perfect entertaining spaces, which flow from the central reception hall to the principal ground floor living space. 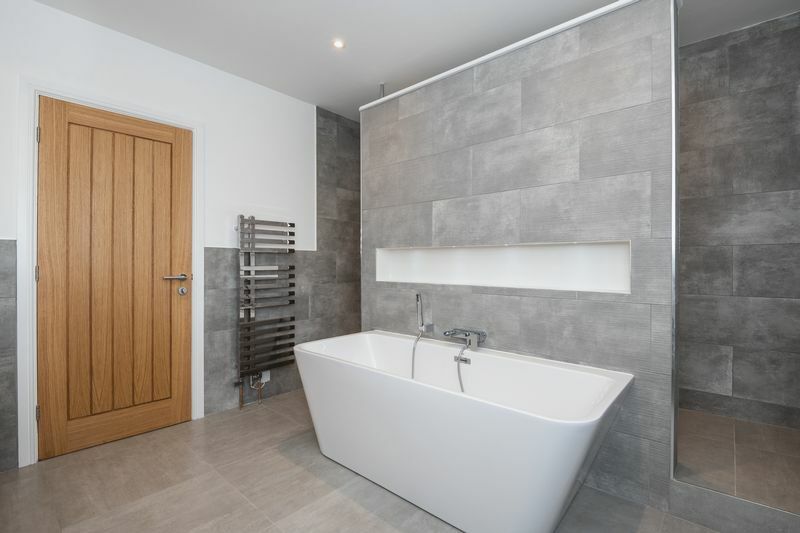 Beautifully designed and crafted to the highest specification created to cater for 21st century family living. 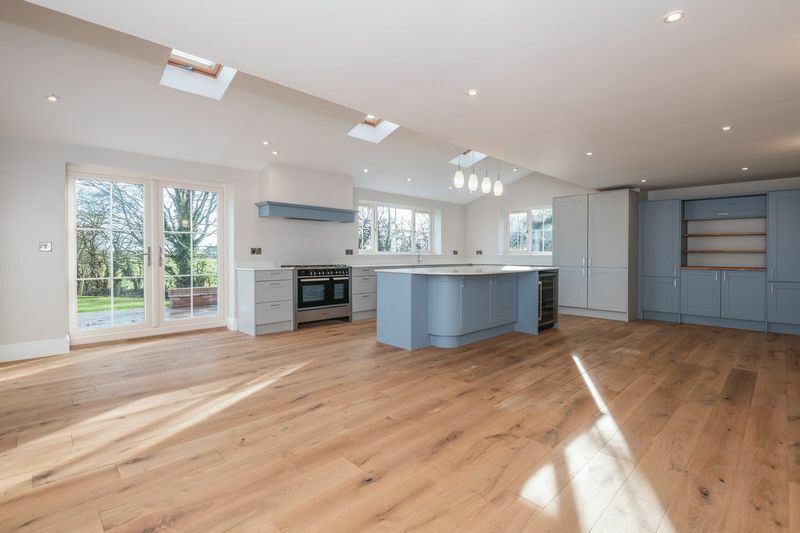 One of the highlights of this lovely home is undoubtedly the expansive open plan living kitchen, featuring handcrafted fitted furniture and Quartz work surfaces, large central island with feature lighting and matching wall lights. 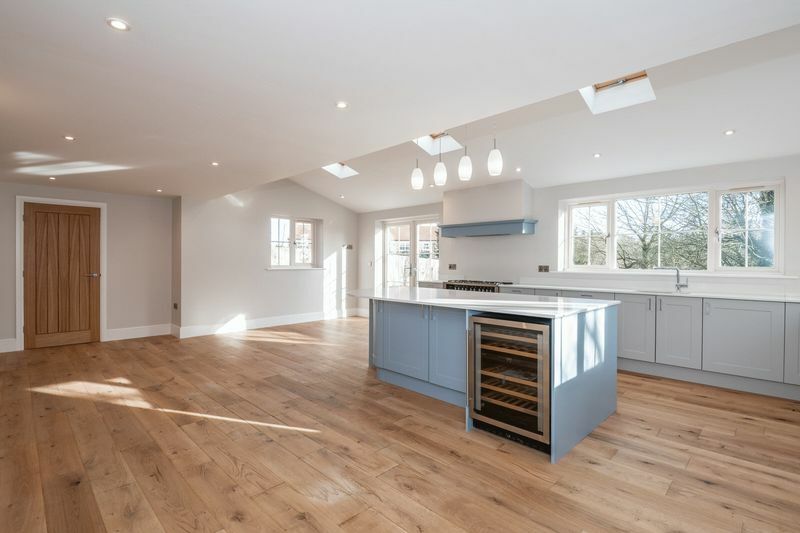 The kitchen also benefits from a range of integrated appliances. 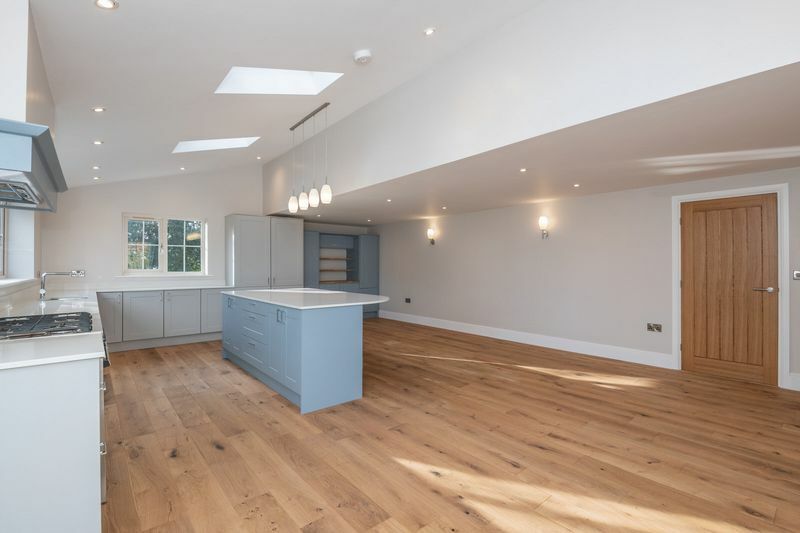 An ideal space for everyday family living and entertaining on a large scale, enjoying direct access from the french doors to the sun terrace and rear gardens. 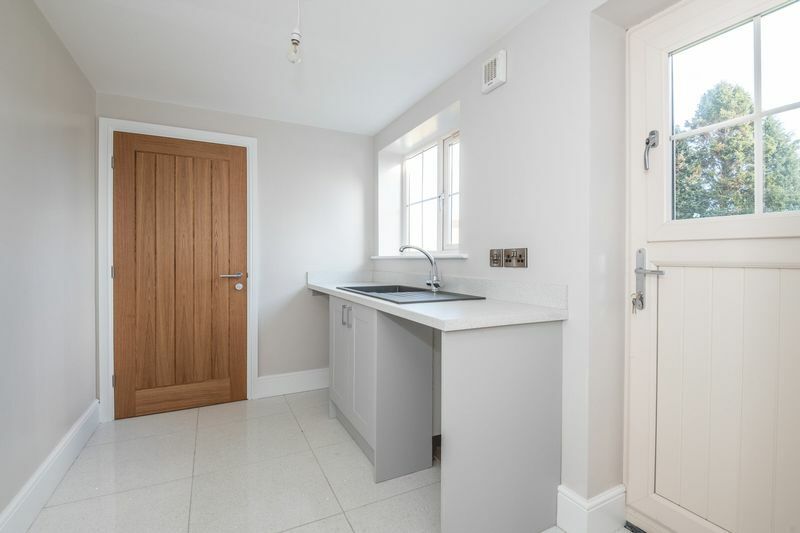 The kitchen adjoins the spacious fully fitted utility room and cloakroom. 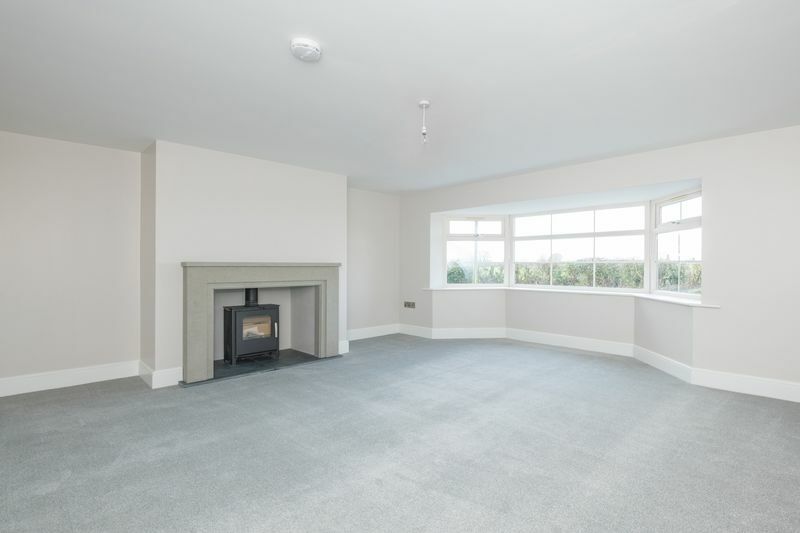 The ground floor accommodation also boasts an elegant drawing room with large bay window, granite fire surround and slate hearth with log burner and spacious family room, all accessed from the impressive reception hall. 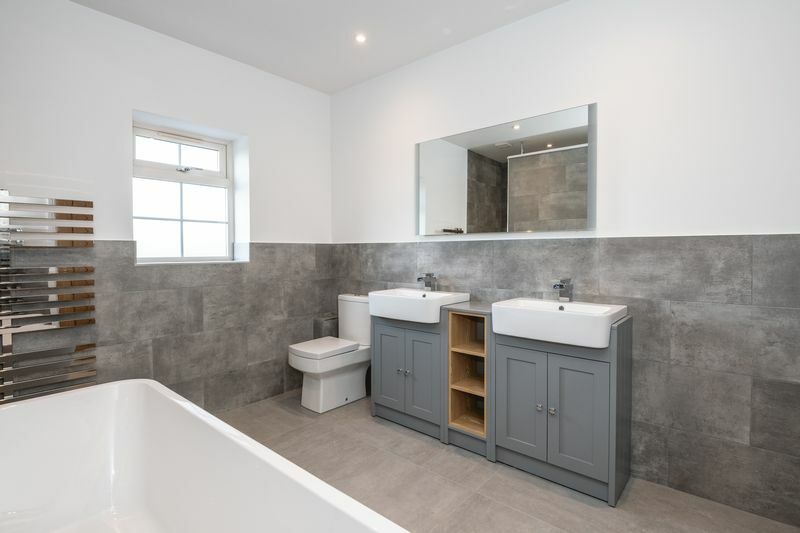 The bespoke oak staircase leads to the first floor accommodation featuring a master bedroom with beautifully appointed en suite bathroom, three further double bedrooms and stunning family bathroom with Verona porcelain tiling and large walk in shower. 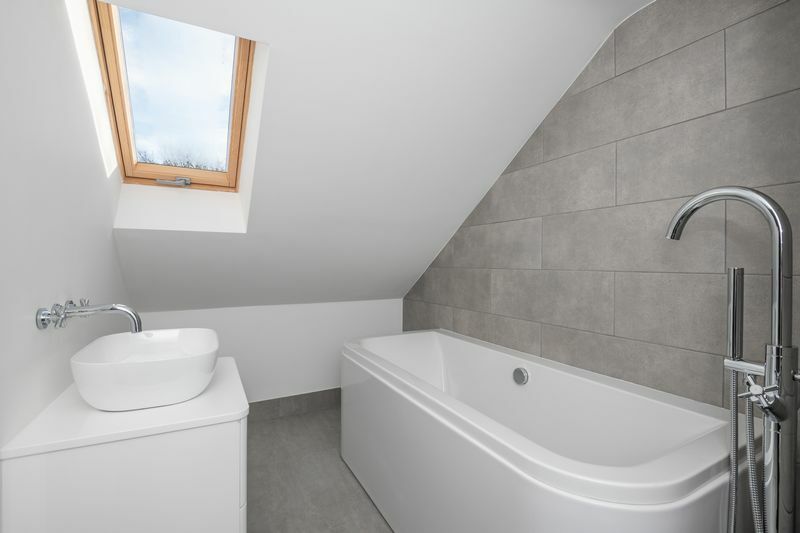 To the second floor is a light and spacious guest bedroom with en suite bathroom. The developers have completed this wonderful family home to an excellent specification including double glazed windows, under floor heating throughout the ground floor, engineered oak flooring to the reception hall and living kitchen, Quartz floor tiles to the utility room and cloakroom, solid oak doors with stainless steel ironmongery, brushed chrome electric sockets and switches, high quality sanitary ware with chrome fittings, heated towel radiators, built in vanity units and wall mounted mirrors to all bathrooms, low energy lighting and exterior lighting. 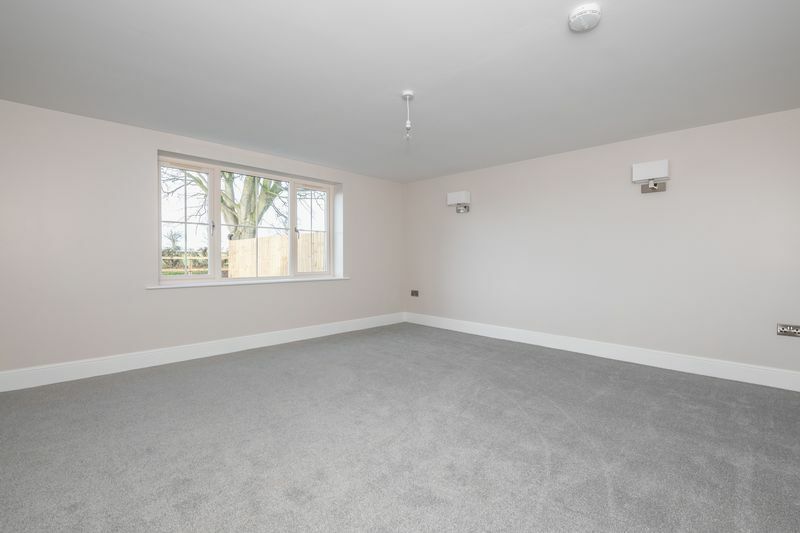 The property is decorated and carpeted in contemporary neutral colours throughout. 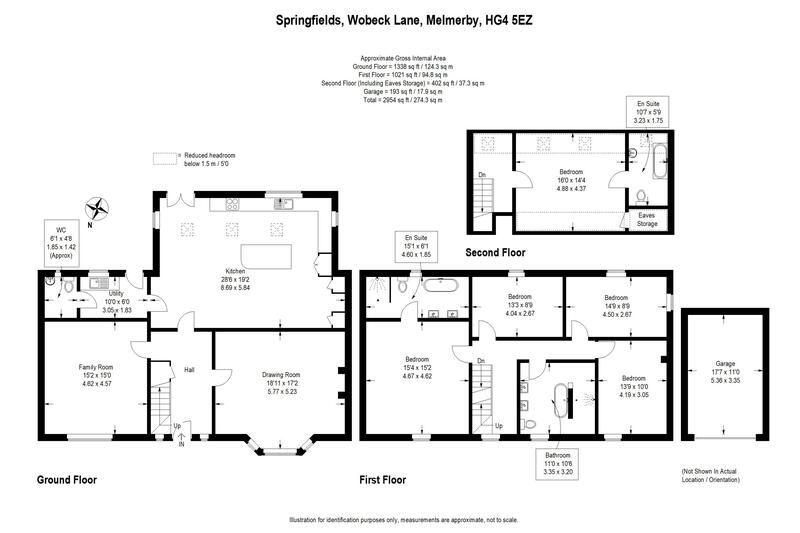 Springfields is approached via a private timber gated entrance leading to the extensive gravelled parking area and a detached garage. 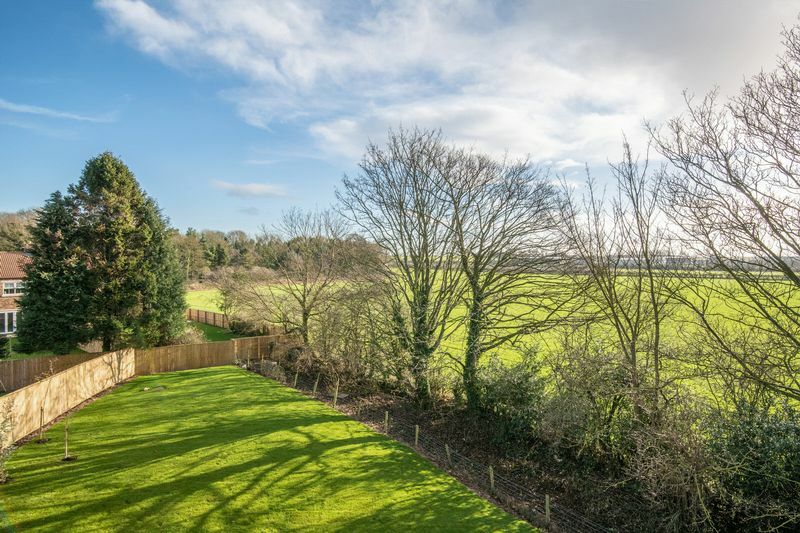 The property occupies a generous, mature and tranquil setting comprising front and rear gardens, mainly laid to lawn with large sun terrace, bordered by mature trees enjoying spectacular views over adjacent countryside. 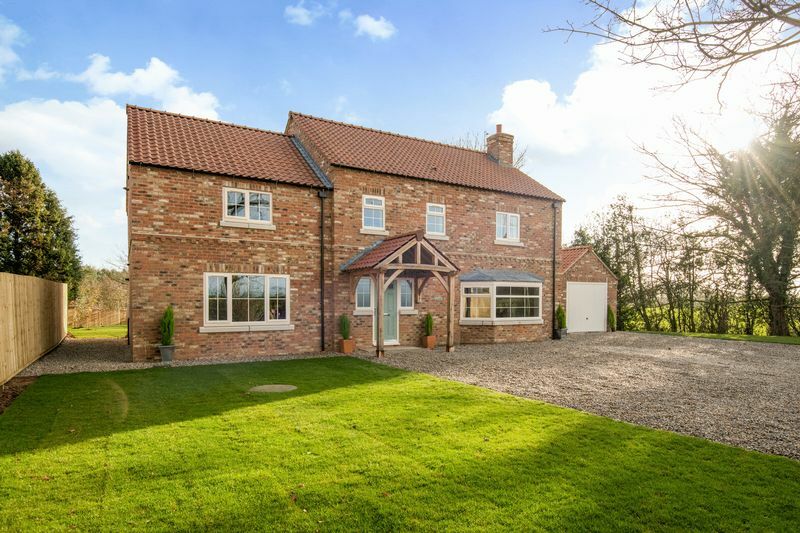 Located in the picturesque village of Melmerby, Springfields is a short drive away from the cathedral city of Ripon offering a wide range of shops, a variety of restaurants and bars. 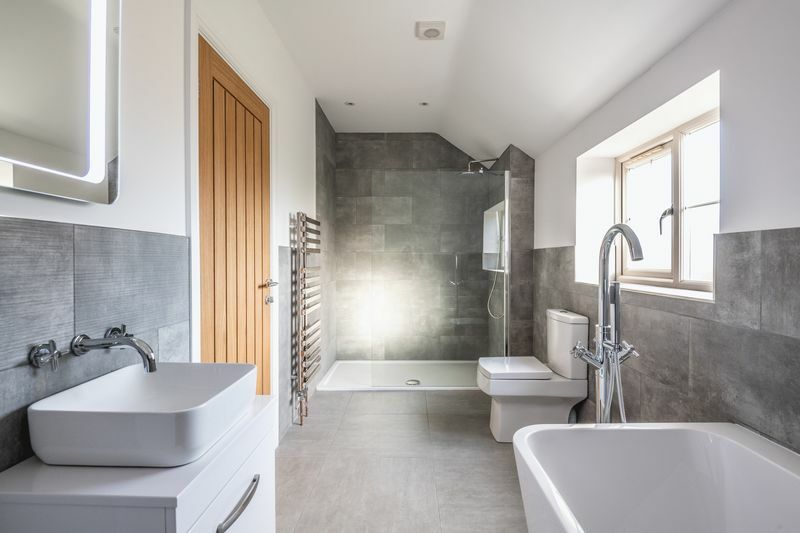 There is also a range of excellent recreational facilities including a tennis centre, golf club, spa baths and racecourse together with stunning countryside and Fountains Abbey a ‘world heritage site’. The city offers a choice of excellent primary and secondary schools, notably Ripon Grammar School. The A61 and by-pass provide easy commuter access to the A1(M) road network and to business centres of Harrogate, York and Leeds. The nearby market town of Thirsk provides regular train links to London Kings Cross in just over two hours.